In late 2018, CVS pharmacists hosted flu shot clinics at many state facilities across Indiana. If you weren’t able to make it to one of the clinics, check the flu vaccine finder below for clinics near you. If you do not carry State insurance, CVS will be processing other insurance providers, however it is not guaranteed they will be accepted. The out-of-pocket cost for the Quadrivalent Influenza vaccine (patients 64 and younger) is $40.99, or $66.99 for the HD vaccine (patients 65 and older). Checks should be made payable to CVS Pharmacy. Please Note: the age limit for the flu vaccination is 11 years and older, with consent of a parent/guardian. No prescription is needed. No one under the age of 11 will be allowed to get vaccinated. Since most preventive care services are covered at 100 percent, employees with the state’s health plan and their eligible dependents should get vaccinated. You must bring your Anthem ID card and a completed waiver prior to receiving the vaccination: download it here to save you time. CVS Pharmacies are also administering vaccines at participating retail locations. Vaccinations may also be administered at your doctor’s office, retail pharmacy or nearby walk-in clinic. Even at any of these locations, the state covers 100 percent of the cost if you carry state insurance. *TDAP and pneumonia vaccinations are also available. If you are unable to attend any of the clinics listed on the calendar, check out the Flu Vaccine Finder below. Just enter your zip code to find flu shot clinic locations near you. The best protection against the flu is to get a flu shot every year before the flu season starts. 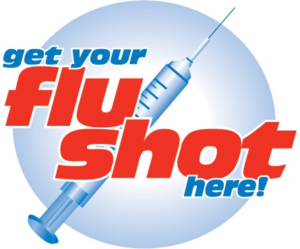 Since influenza viruses change over time, it is important to get a shot every year. Each year the vaccine is remade to include the types of flu virus expected to cause illness during that flu season. The vaccine begins to protect you within a few days after vaccination, but the vaccine is not fully effective until about 14 days after vaccination. If you are wondering if you should get a vaccine, a detailed list can be found at Who Should Get Vaccinated against Influenza.